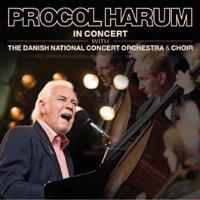 I know there are those who don’t call Procol Harum prog rock. I’d have to say that if you are amongst those people you will probably admit that PH predated prog and had a big influence on the genre. It is for that reason – and because I really think they fit, that I include them there. 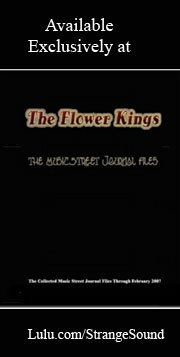 This CD documents a concert from 2006. Certainly having orchestras and choirs on live performances is a concept that’s been overdone by groups all over the musical spectrum. For my money, though, PH is more honest in their usage – their music has always had a symphonic nature. I would have to say, though, that at times the choir in particular – and the symphony, too – get a bit heavy handed. Still, this is a great concert and would make a nice introduction to the band for those who haven’t yet delved into their catalog. It’s also bound to please longtime fans. For those looking for the proof that Procol Harum were a progressive rock band, you just need to look to this first track. It's got mellower segments and harder rocking ones, but the truth is, the whole thing is quite similar in many ways modern progressive rock. It’s really ahead of its time and doesn’t feel dated at all. This is a strong cut and the orchestra seems to add a lot, but I’m not so sure about the choir at times. It is quite a dynamic composition and the world music sections, along with the violin solo segment, really bring a lot of charm to the table. More dramatic and theatrical, this is no less proggy – although the rock end of things might be less solid. This isn’t drastically different from the last couple cuts, but it’s still a strong piece of music. There’s more rock in this one. It’s still got plenty of progressive rock and symphonic elements, though. It’s one of the more dynamic and powerful pieces on show here. It’s also one of my favorites. Now this one really rocks out. It’s fast paced and potent and has a lot in common with modern symphonic metal. Mind you, I’m not calling this metal by any means, but I will say that it’s likely this sound has influenced that genre of music. It’s another highlight of the set. This is energized and has plenty of prog in it, but it’s also got a soulful groove to it. It’s a strong rocker. Here we get the first of three of PH’s more well-known cuts. I’ve always loved the dramatic minor key arrangement of this and I’d have to say that the symphony and choir both bring a lot to the table here. This is a beautiful song and this rendition might be even more powerful than the studio one. At seven and a half minutes this mini epic is the longest track on the set. It’s also one of the most dynamic and potent. It’s got plenty of progressive rock in it and is just plain strong. For my money “Conquistador” might have been a bigger hit for the band, but this is the real star of any Procol Harum show. I’ve always loved the mood and tone of this cut and it would certainly make my short list of best tracks from anyone. All that said, I’d say that this might not be the best version of the track I’ve heard. “Conquistador” is arguably Procol Harum’s best known track and this rendition really does shine.